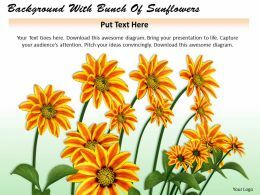 "Microsoft PowerPoint Template and Background with a beautiful yellow sunflower field with bright blue clouds in the sky"
"Microsoft PowerPoint Template and Background with puzzle of sunflower beauty"
"Microsoft PowerPoint Template and Background with couple of sunflowers"
"Microsoft PowerPoint Template and Background with yellow sunflowers"
"Microsoft PowerPoint Template and Background with sunflowers"
"Microsoft PowerPoint Template and Background with field of sunflowers in full bloom in summer"
Presenting this set of slides with name - Cartoon Flower Showing Sunflower. This is a three stage process. 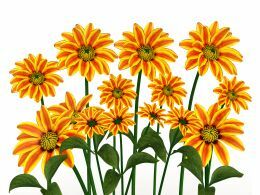 The stages in this process are Cartoon Flower, Smiling Flower, Happy Flower. 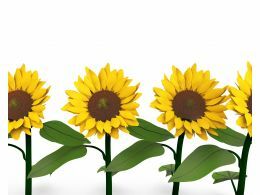 "Microsoft PowerPoint Template and Background with Yellow sunflower, sunflower reaching for the sun"
"Microsoft PowerPoint Template and Background with sunflower with chestnuts"
"Microsoft PowerPoint Template and Background with sunflower plants frame"
"Microsoft PowerPoint Template and Background with Sunflower close up of petals from behind on black"
"Microsoft PowerPoint Template and Background with Happy Bright Sunflower Landscape With Blue Sky"
"Microsoft PowerPoint Template and Background with a bright sunflower against a summer sky"
"Microsoft PowerPoint Template and Background with shining sunflower on the black background"
"Microsoft PowerPoint Template and Background with sunflower summer morning in field"
"Microsoft PowerPoint Template and Background with petals of a sunflower painted in different colors"
"Microsoft PowerPoint Template and Background with miniature sunflower and a butterfly sucking the nectar of a flower"
Presenting this set of slides with name - Apple Sunflower And Three Books Lying On Wall 1. This is a three stage process. The stages in this process are Apple, Fruit. "Microsoft PowerPoint Template and Background with sunflower"
"Microsoft PowerPoint Template and Background with a mexican sunflower"
Microsoft PowerPoint Template and Background with european Peacock on a sunflower"
"Microsoft PowerPoint Template and Background with butterfly with wings spread on yellow flower"
"Microsoft PowerPoint Template and Background with sunflower and world concept. sunflower field agriculture concept"
"Microsoft PowerPoint Template and Background with sunflower in female hands"
"Microsoft PowerPoint Template and Background with a sunflowers family"
"Microsoft PowerPoint Template and Background with sunflowers with a large yellow petalled flower"
We are proud to present our 0514 background with bunch of sunflowers image graphics for powerpoint. 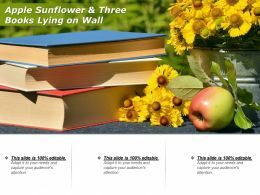 This Business Power Point template is designed with bunch of sunflowers graphics. 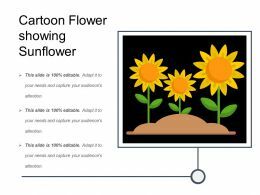 Use this template for nature related presentations. "Microsoft PowerPoint Template and Background with collage of several colorful sunflowers"
"Microsoft PowerPoint Template and Background with a field of beautiful yellow sunflowers"
"Microsoft PowerPoint Template and Background with save the nature concept with sunflower and oil power plant"
"Microsoft PowerPoint Template and Background with california desert sunflower above parched cracked soil in anza borrego state park"
"Microsoft PowerPoint Template and Background with love carved into a stone block with a sunflower on it"
"Microsoft PowerPoint Template and Background with many yellow sunflowers with green leaf"
"Microsoft PowerPoint Template and Background with many yellow sunflowers with green leaf closeup"
"Microsoft PowerPoint Template and Background with an earth with yellow sunflowers"